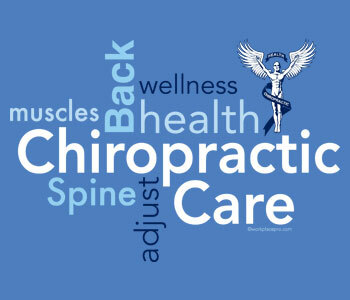 The risks associated with chiropractic, however, are very small. Many patients feel immediate relief following chiropractic treatment, but some may sometimes experience mild soreness or aching, just as they do after some forms of exercise. Current literature shows that minor discomfort or soreness following spinal manipulation typically fades within 24 hours. Neck manipulation is a remarkably safe procedure. Although some reports have associated upper high-velocity neck manipulation with a certain kind of stroke, or vertebral artery dissection, there is not yet a clear understanding of the connection. While we don't know the actual incidence of stroke associated with high-velocity upper neck manipulation, the occurrence appears to be rare -- 1 in 5.85 million manipulations2 -- based on the clinical reports and scientific studies to date. It has also been suggested that sudden, severe upper-neck pain and/or headache, which may indicate a pre-stroke condition, could cause someone to visit a doctor of chiropractic. In addition, some common activities, such as stargazing, rapidly turning the head while driving, and having a shampoo in a hair salon may cause an aneurysm -- a widening of an artery resulting from the weakening of the artery walls -- of the neck arteries, resulting in stroke. Such events remain very difficult to predict. It is important for patients to understand the risks associated with some of the most common treatments for neck and back pain -- prescription nonsteroidal anti-inflammatory drugs (NSAIDS) -- as these options may carry risks significantly greater than those of manipulation. According to a study from the American Journal of Gastroenterology, approximately one-third of all hospitalizations and deaths related to gastrointestinal bleeding can be attributed to the use of aspirin or NSAID painkillers like ibuprofen. Senstad O, et al. Frequency and characteristics of side effects of spinal manipulative therapy. Spine 1997 Feb 15;435-440. Haldeman S, et al. Arterial dissection following cervical manipulation: a chiropractic experience. Can Med Assoc J 2001;165(7):905-06. Lanas A, et al. A nationwide study of mortality associated with hospital admission due to severe gastrointestinal events and those associated with nonsteroidal anti-inflammatory drug use. Am J Gastroenterol 2005;100:1685-1693. Lauretti W. The Comparative Safety of Chiropractic. In Daniel Redwood, ed., Contemporary Chiropractic. New York: Churchill Livingstone, 1997, p. 230-8.